Make personalized labels for all your handmade goods! 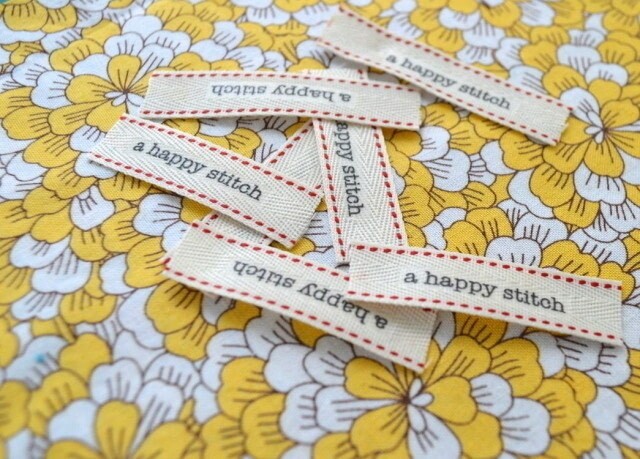 Insert your own brand, custom sizes, or even washing directions with make your own labels. 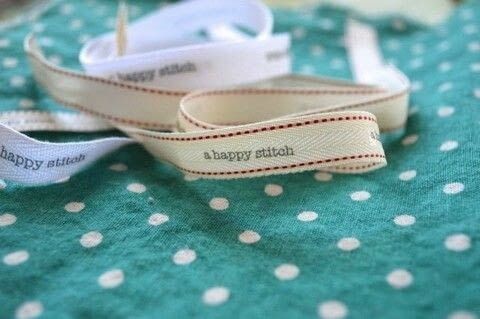 Using transfer paper and twill tape, you can print anything you want on a label and stitch it into your project. 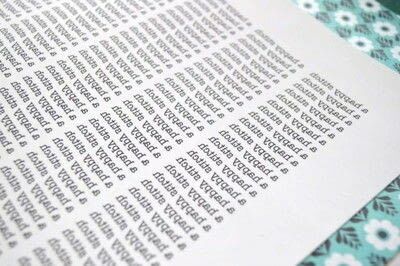 Start by typing up a document with your word choice in whatever font you would like. Don’t worry about spacing, you will be cutting out each logo so just make sure they don’t overlap and then put as many on one page as you can. 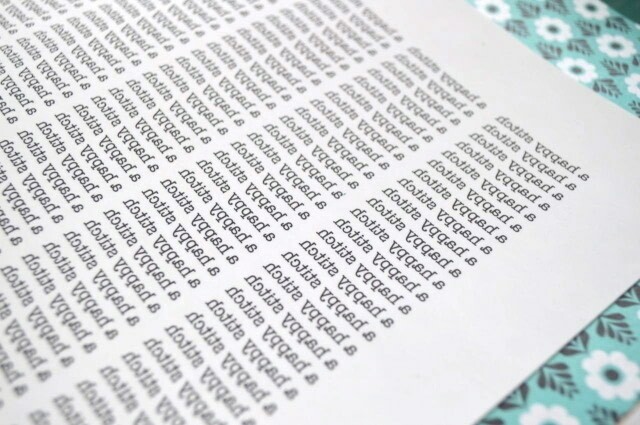 Before you print onto your transfer paper, flip the words so they appear backwards. This step is a little different depending on your computer but on my Mac I am given the option to flip horizontally when I get to the print function page. 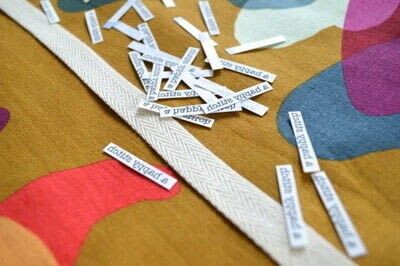 Once you are sure the words are flipped, print it out on your transfer paper. Cut out each logo as close to the edge of the text as you can (without driving yourself crazy). 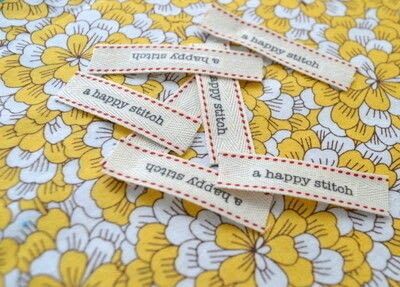 Place the cut labels word side down onto your twill tape spaced about 2 inches away from each other. Iron directly onto the back of the paper and PRESS HARD for about 20 seconds. The instructions that come with the transfer paper recommend using a harder surface than an ironing board so I lay down layers of burlap over my studio table and then place a pressing cloth over that before I iron. Let the logos cool completely. Don’t cheat, if it isn’t cool, it won’t work as well. Peel off the paper to reveal your very own adorable custom product tags! Hey rockstar! The world can see you now! Thank you very much. 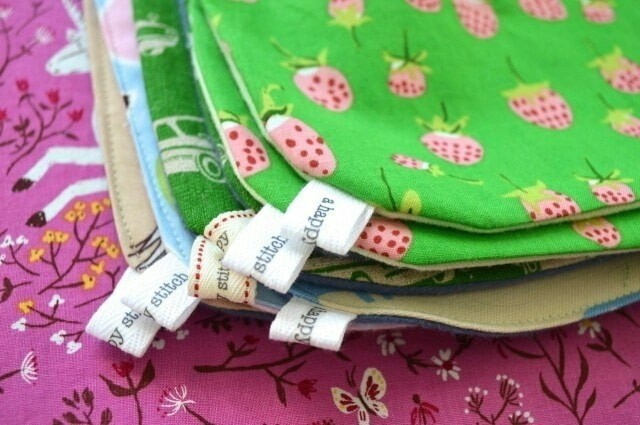 I need to make labels for my handmade upcycled items. This makes me so happy! I'm thrilled you are able to use this tutorial. Have fun!